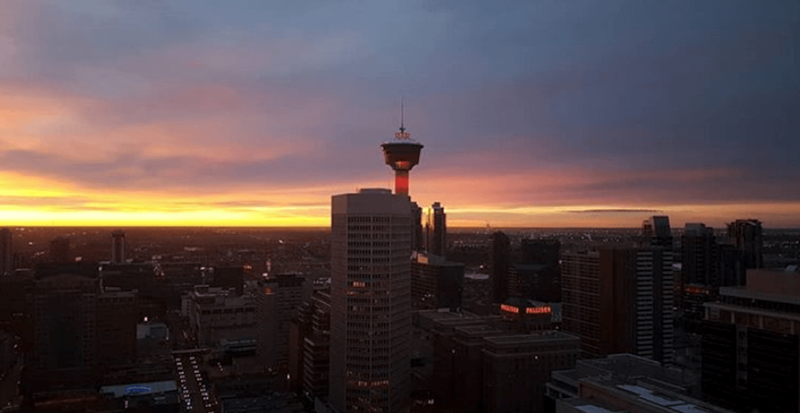 Calgarians awoke this morning to colourful skies and stunning sights, as the city was blessed with a magnificent sunrise. Thankfully for those of us who may have missed it by hitting the snooze button a few too many times, there were a handful of photographers who captured the phenomenon and posted proof to social media. We’ve put together a list of our favourite photos from this morning for you to enjoy!